How thoroughly do you know the facts about hearing loss? We’ve discovered that our patients are nearly always surprised to learn about hearing loss, about how universal it is and how it impacts all age groups. They’re also quite surprised to learn how hearing loss can have an impact on all areas of health. As hearing professionals, that implies we have a lot of work to do. Evidently, the understanding of hearing loss does not match the reality, and we have to work to raise awareness. 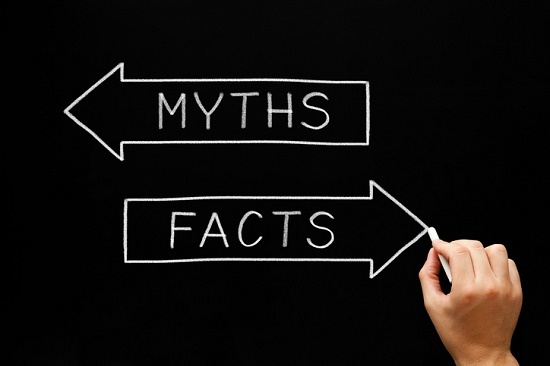 To that end, we’ve assembled ten facts that demonstrate how serious and prevalent hearing loss is, but that the majority of people are not aware of. 360 million people globally have hearing loss – as reported by the World Health Organization, over 5 percent of the world’s population (360 million) have disabling hearing loss. 48 million people in the United States have hearing loss – that’s 20 percent of all Americans, or one out of every five, that describe some amount of hearing loss. 1 in 5 teens has hearing loss – hearing loss in teens is growing with the increased use of earbuds, among other factors. Hearing loss does not discriminate by age group. 65 percent of individuals with hearing loss are under age 65 – the belief that hearing loss only influences older people is one of the most commonplace and inaccurate misconceptions about hearing loss. 60 percent of veterans return home with hearing loss and tinnitus – hearing issues are the most frequently reported injury by veterans. Hearing loss is also one of the most widespread work-related injuries, affecting an estimated 22 million workers in the US. Hearing loss can result in cognitive decline – several studies out of Johns Hopkins University have demonstrated links between hearing loss and cognitive decline, impaired memory, and even an elevated risk of developing dementia. Hearing loss raises the risk of falling – a recent study revealed that people with mild hearing loss were three times more likely to have a history of falling as compared to those with normal hearing. And the likelihood of falling increase as hearing loss becomes more significant. Hearing loss is present in 90 percent of tinnitus cases – most instances of tinnitus are accompanied by hearing loss, which means both conditions can oftentimes be addressed with hearing aids. Hearing loss can influence earnings – In a survey carried out by the Better Hearing Institute, hearing loss was shown to negatively impact household income up to an average of $12,000 per year depending on the amount of hearing loss. 28.8 million US adults could benefit from hearing aids – in spite of the fact that hearing aids could help millions of Americans, fewer than one in three actually make use of them. This despite all of the technological developments. Help us increase awareness about the facts of hearing loss by sharing this blog post. You could end up helping someone to improve their life with better hearing.